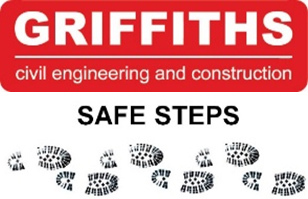 “Griffiths” means “Alun Griffiths (Contractors) Ltd”, is registered under Company No. 01493003 and has registered offices at Waterways House Merthyr Road, Llanfoist, Abergavenny, Monmouthshire, NP7 9PE. “Website” means “www.alungriffiths.co.uk” and any of the pages contained on that domain. The material published on this site has been made available to you for informational purposes only. We do not make any warranties to the accuracy or reliability of any material published on this site, and you rely on it at your own risk. We may make changes to the material on this website at any time, without giving notice. Material on this website may contain errors, typographical or otherwise, and it may be out of date. We make no commitment to update this material and it is not intended as professional advice. All trademarks, logos, graphics, images, photographs, videos, animations, text and software used on this site remain our intellectual property. You many only display, print, reproduce and use this material for your personal use only. Without our prior written consent, you may not otherwise retrieve, use, display, copy, modify, print, sell, hire, download or reverse-engineer such content. This site complies with the Equality Act 2010 and strives to meet with the Website Accessibility Initiative (WAI) guidelines, published by the World Wide Web Consortium (W3C), a consortium of 385 organisations who advise and educate on standards for internet technologies.